Curves and a Camera: Oh. How Pinteresting. This is my first time participating in the "OHP blog hop" ...not sure why I spend enough time on both Pinterest and blogging.... and it's not like the two haven't overlapped before. ANY-WHO... since I'm new to the OHP I figured it was okay to go back a few weeks looking at pins and pick a few favorites. Like this outfit. I mentioned to my mother last night I can't wait for sweater and scarf season. Now if only I could find a pair of boots that fit me. Although that means it'll start getting too cold for the coast (or at least the beach) and I want to find this Wizard Hat rock in Oregon so bad. Here are two that were just so beautiful - both in their own way. And last a quote to live by. 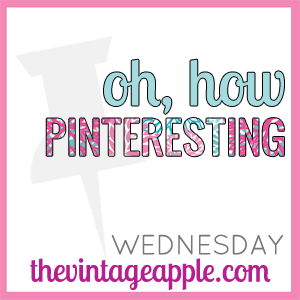 Don't forget to stop over at The Vintage Apple and check out the OHP Blog Hop.